Choose the area you are looking to rent, have a budget in mind if unsure see our affordability calculator to put you into the right path of what budget is within your reach. Make sure you leave all your details / telephone numbers / emails / criteria to ensure we offer you the right properties to what you are looking for, you can do this via coming into the office or from the website. Have a clear idea when you are looking to move to ensure as vendors will not entertain you if you are unaware of the date you are looking. When conducting viewings please make sure you arrive early / on time as the market is very busy and to avoid missing out. Good properties which come on to the market are usually let very quickly. If you have concerns on the property you have viewed, make an offer subject to required requests as we are always advising vendors to be flexible accommodate tenants requests within reason. 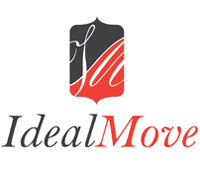 Moving in – Identify who is the managing agent for the property and make sure you have all the right details email address / telephone number / correspondence address. Usually when moving in you would meet with an inventory clerk whom will go over all the necessary in the property and the property must be returned in the condition as what given to you at the commencement of the contract. Professional cleaning must be carried out when moving out to the standard of the property when it was given to you, It always good to keep and look after the property you are renting as if where your own to avoid disputes with deposits at the end of the term.